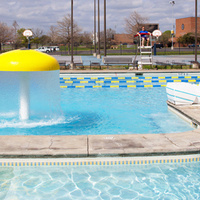 Campus Recreation will be hosting FREE adult swim lessons during the spring semester. Lessons will take place on Wednesday (6:30 p.m. - 7:30 p.m.) starting March 27 and going through May 8. Registration can be done at the MRC front desk, online, or on the pool deck 15 minutes before lessons. Arrive at least 15 minutes before each lesson for check-in. A bathing suit is required. Joseph was very patience with the medium group of beginning, intermediate, and advanced swimmers. He could have used an extra trained swimmer to work with the beginners who are still adjusting to the water and the various floating techniques.